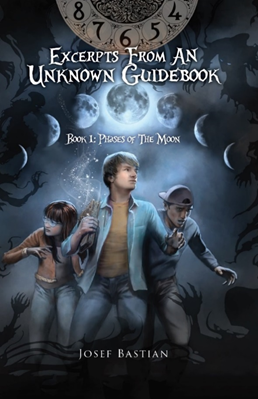 Following the successful August 2018 launch of the Guidebook Series franchise with Book 1: Phases of the Moon, which sold out its first printing, Folktellers has partnered with Ahmet Zappa to further develop the evolving brand. The formal partnership between these two parties brings together an international team of experts to build a franchise that truly leverages the power of storytelling across a broad entertainment platform. Phases of the Moon is the first outing from the evolving Guidebook Series which was originally founded by Josef Bastian and Carl Winans (Folktellers) nearly a decade ago. The goal is to provide a forum for “folktellers” to create storytelling experiences across a variety of traditional and digital mediums. Since its release, Phases of the Moon has been named as a finalist at the 2018 International Book Awards, a Mom’s Choice Gold Medal winner, and Bronze Medal winner at the Moonbeam Children’s Book Awards. Ahmet Zappa was brought into Folktellers by their newest partner Stephen Sadler, digital expert and entrepreneur. Ahmet will bring his expertise in family programming, and his role will be to continue to further develop the distribution of the Guidebook Series, while also working to build its outreach. More information may be found at http://www.folktellers.com. This entry was posted in Press Releases, ZAPPA FAMILY TRUST. Bookmark the permalink.